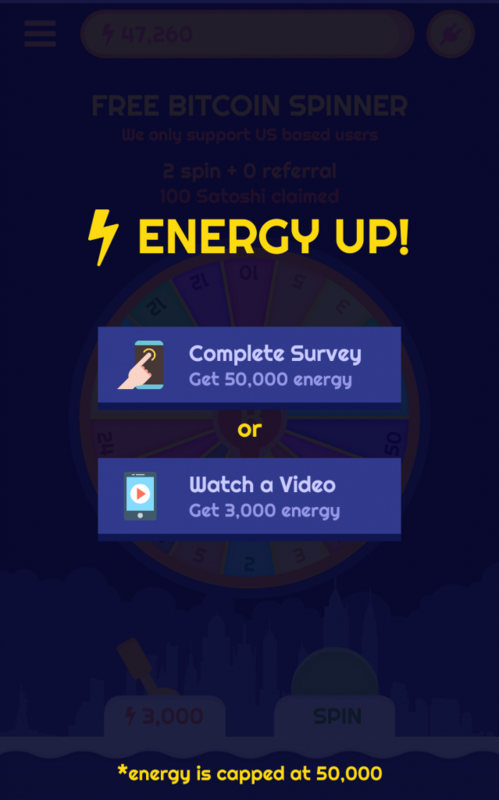 Pollfish Rewarded Surveys can be used in any rewarded placement within a mobile app or game. They can be used aside with Rewarded Videos and CPI offers for downloading a new app, or along with any other action that users are willing to take, to earn something in exchange. With Rewarded Surveys, the user stays always within the app. With Rewarded Videos, users have to watch a small trailer of an app for 30′ and then click to download a new app and open it on their device. Those users might engage with the new app and never come back. Rewarded Surveys pay at least 5x more than Rewarded Videos and up to 20x more than any other traditional ad format. eCPMs can reach up to $200. Users prefer Rewarded Surveys since they are faster to complete, interactive, fun and high paying. Below we will list some examples of placements from existing Pollfish partners to give an idea of different approaches that publishers might take to incentivise their users to participate to surveys. 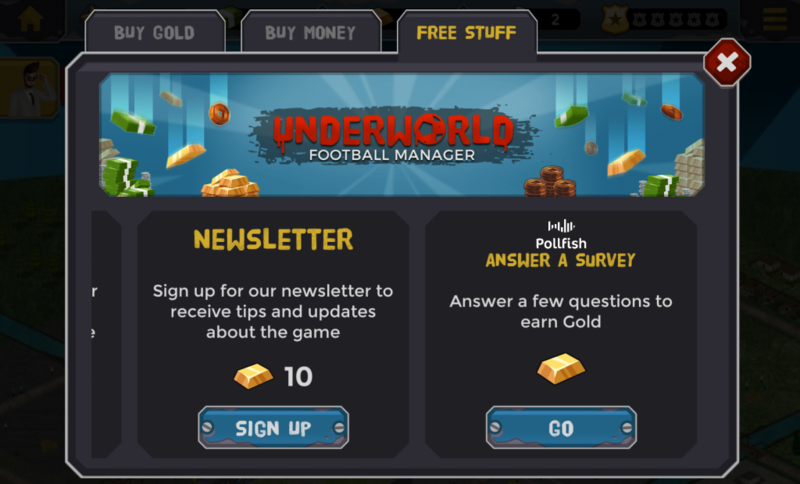 Pollfish Rewarded Surveys can be found in a Free Coins section, or in offerwalls in general, within mobile apps. 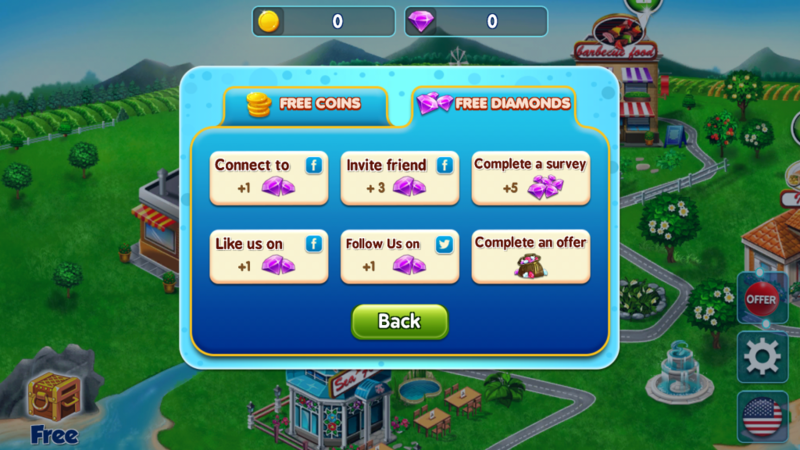 Users that visit those sections to complete tasks in exchange for coins, usually prefer Rewarded Surveys, since they are easy to complete and high paying. 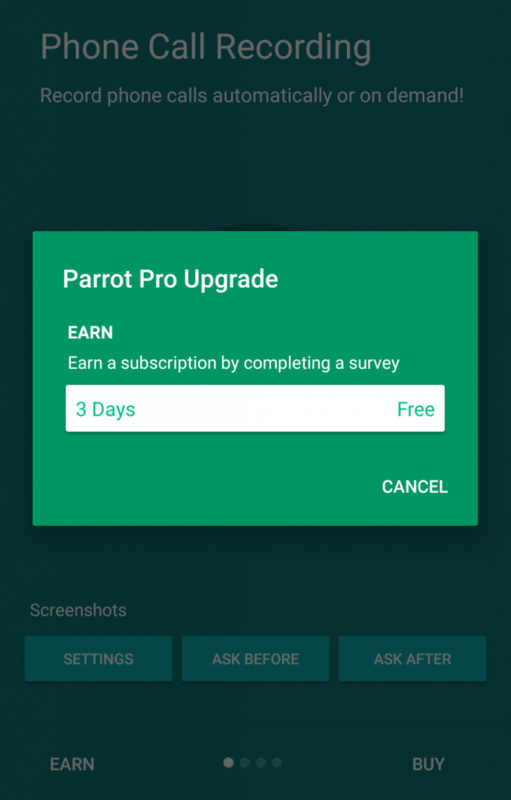 Publishers usually allocate a premium position for Rewarded Surveys in those sections since they will make more money from them and also because users prefer them. A classic approach with rewarded placements, is providing access to features or enhanced functionality in an app, when a user opts in for a rewarded action. Rewarded Surveys can be a great fit in those cases. 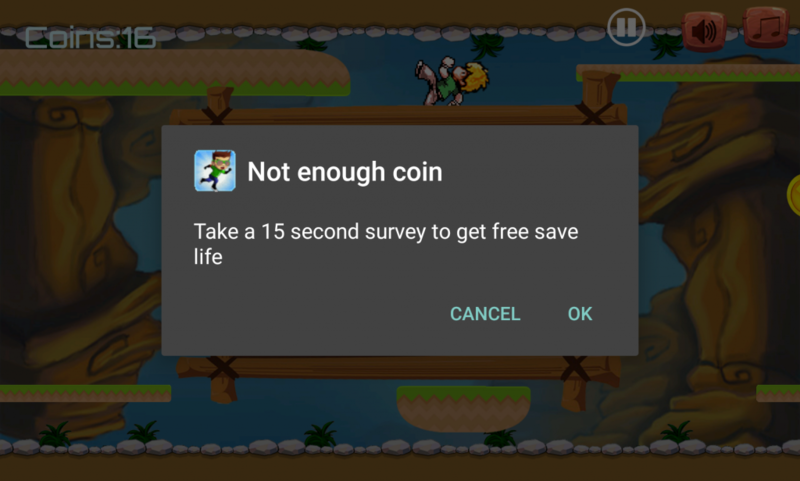 In games where users have a limited number of lives, publishers can give an option to users, to earn a life and continue within the game by completing a Rewarded Survey. 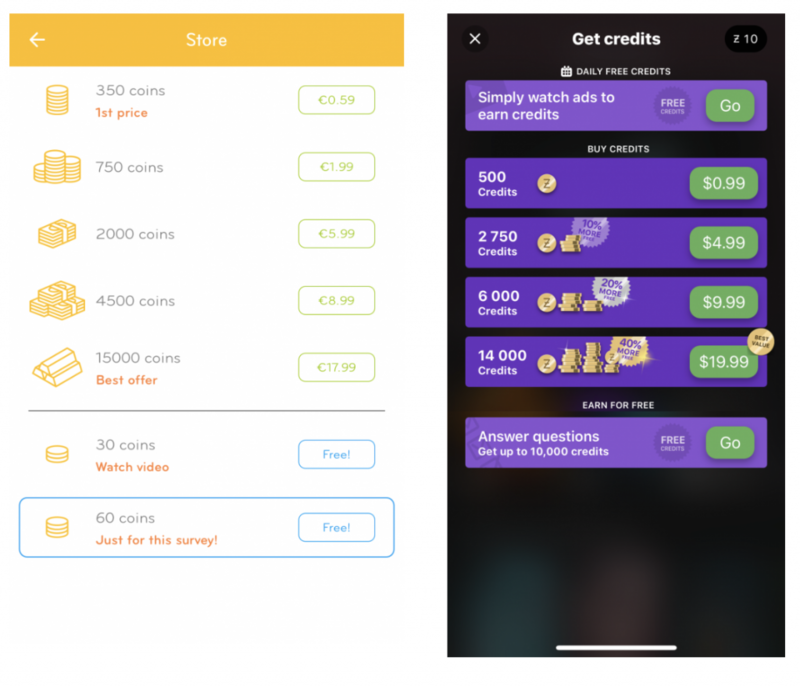 In some cases, when apps work upon a subscription based model, publishers can incentivise users to complete a Rewarded Survey in order to earn access to the subscription package or the Premium version of the app. A common use-case for Rewarded Videos are boosters. Rewarded Surveys can work perfectly in those placements too! Pollfish Rewarded Surveys can be used for temporary or permanent removal of ads in a mobile app. 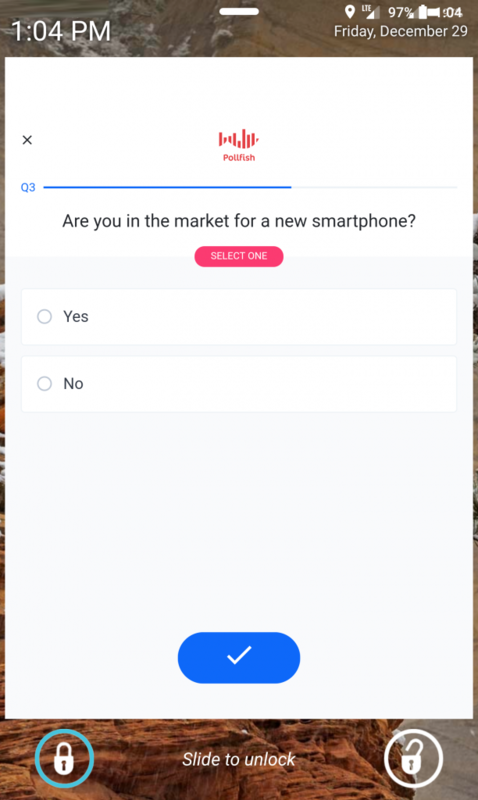 Rewarded Surveys can be placed also in a general store/shop section in a mobile app. They can be used aside with IAP and along with any other free option like Rewarded Videos. 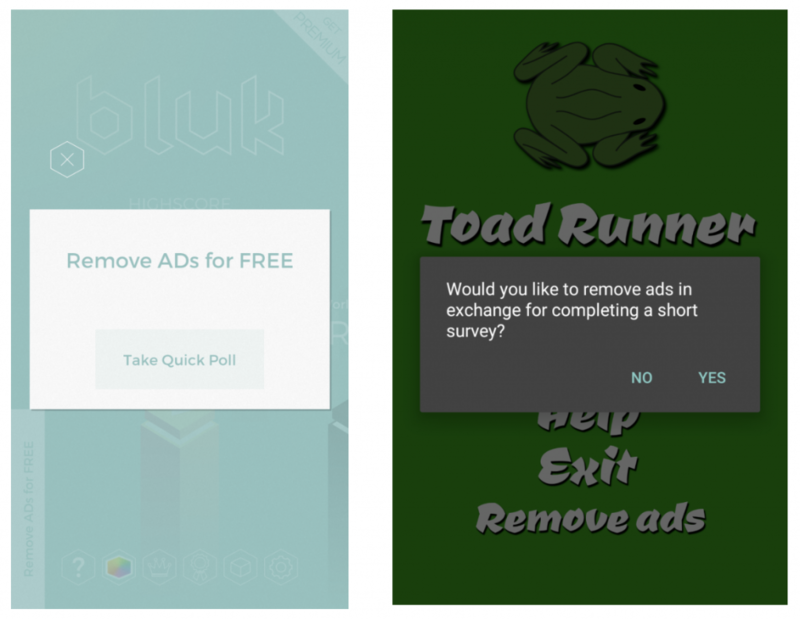 Some apps that use the lock screen of the device to display ads use Pollfish Rewarded Surveys to enrich the options provided to the users for earning money. 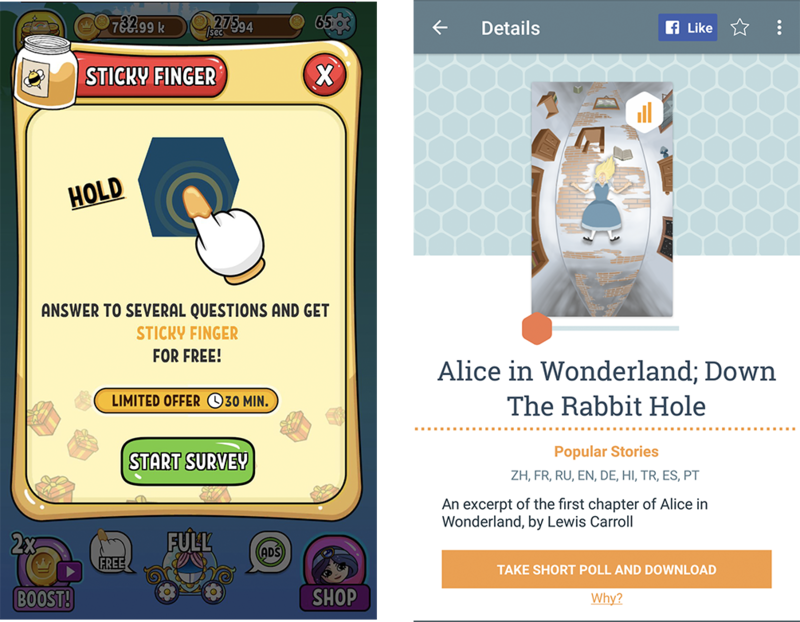 In this article we have seen several examples from real-world apps on how they embedded and use Rewarded Surveys from Pollfish. 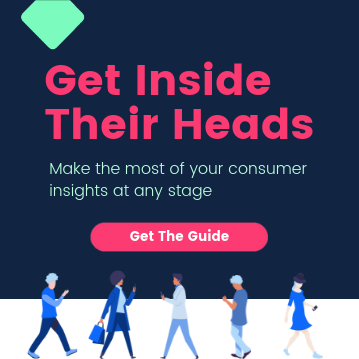 Rewarded Surveys are the new rising monetization format in the fast paced mobile apps’ world and publishers are constantly exploring different approaches on how to use them to make the most out of them. Examples shown in this article, can drive good engagement, high conversions and can fit well along with other monetization formats. Monetization models in dating apps - it’s a Match!